USANA, word! : Do you think YOU can do it? Or do you think YOU can’t? Do you think YOU can do it? Or do you think YOU can’t? The countdown for USANA’s Women In Business 2011 is on! Are you hesitating on whether to attend? Is something holding you back from giving yourself an opportunity to achieve real health and wealth? Your age? Your background? Your education? Well, in our previous blog, we mentioned that no matter what situation you are in, this event is for you. As a matter of fact, this is the glamour of the USANA business – USANA offers a business opportunity for almost everyone, at any time. 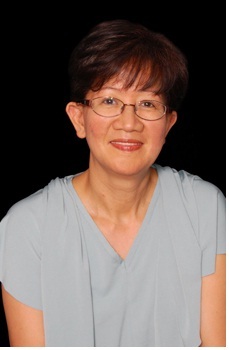 One of the key speakers for the event is Mary Ma, who is a very successful USANA Associate. She has a degree in Software Engineering, totally different from nutrition! However, not long after her graduation, when her mother-in-law first introduced USANA to her, Mary was amazed by the changes USANA Sensé brought to her skin and she just fell in love with USANA! Like lots of other Asian ladies, family is always the #1 priority for Mary, and the home-based USANA business is the ideal business for more time with her family. The strong desire to keep herself and her family healthy ‘forever’ is the real motivation for choosing the USANA business in the first place. Mary will be presenting in Melbourne only. Another key speaker, also an Asian lady, is from a highly successful nursing background. 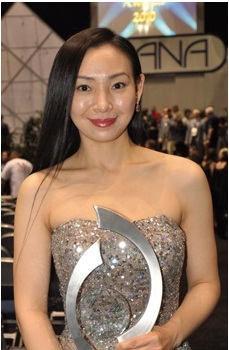 Josie Tong’s reason for growing a business with USANA is this: “When I was introduced to USANA, I was preparing to launch my own Nursing Agency. At that time, I had built up a new office and spent thousands of dollars to market my new business. But one morning at 2am, I suddenly realised that the new business would keep me tied to the phone 24/7, therefore, I would have no time for my family! The USANA business enables me to be my own boss (because I love working for myself), and most importantly, gives me the flexibility to work around my kid’s schooling and other activities. So I decided to go with USANA!” Josie is a Gold Director and will speak in the Sydney WIB event. Amazingly, talking about the changes that they experienced in their lives as women in business, both Mary and Josie say that of all the benefits of owning their own health business, being financially independent and gaining self confidence are the two most valuable! The most impressive words that Josie said to us are: “If Carmen, Fiona, Paula and other leaders can run the USANA business successfully, why can’t I?” Exactly, why can’t she?